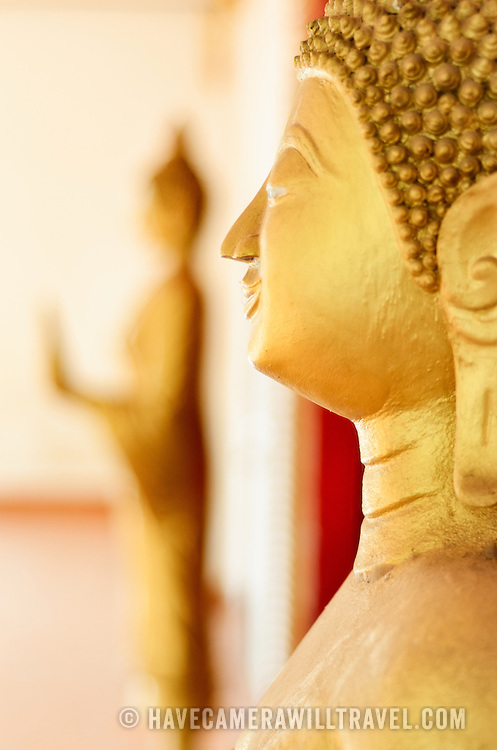 Golden statues of The Buddha (Siddhartha Gautama) at a Wat (Buddhist Temple) in Vientiane, Laos. This statue is in the Cambodian style. Focus is on the statue in the foreground with shallow depth of field.